David Gustman is Head of the Firm's Litigation Practice Group, Co-head of the Firm’s Antitrust Practice Group and a member and former Chairman of the Firm’s Executive Committee. 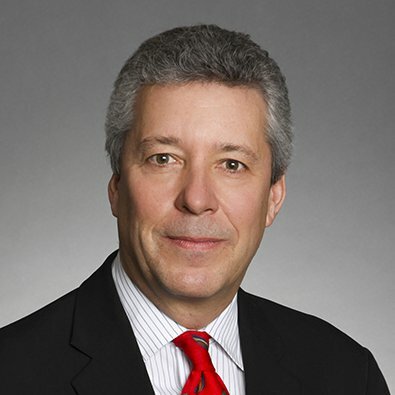 For over 35 years David has handled and served as lead trial counsel on a variety of complex business litigation matters involving antitrust, accounting, banking, bankruptcy, construction, finance, insurance coverage and broker disputes, real estate and securities. He is a “go to” lawyer for the Firm’s most challenging and difficult cases, and is often called upon by clients to take over cases that have been previously handled by other counsel. Obtained a defense verdict in favor of our clients in a nationwide antitrust class action, in which plaintiffs sought $500 million in damages. Also successfully argued and defended the judgment before the Seventh Circuit Court of Appeals. In re Sulfuric Acid Antitrust Litigation, 703 F.3d 1004 (7th Cir. 2012). Obtained a $36.4 million judgment against a governmental entity that wrongfully interfered with our client’s easement rights, delaying construction of The Ritz-Carlton Residences, Chicago, Magnificent Mile. Successfully arbitrated claims requiring a landowner to turn over title to a real estate development, allowing closings of new, high-end, condominium units. Successfully defended class action antitrust claims seeking over $100 million in damages. In re Potash Antitrust Litigation, 954 F .Supp. 1334 (D. Minn. 1997); affirmed Blomkest Fertilizer, Inc. v. Potash Corporation of Saskatchewan, Inc., 203 F.3d 1028 (8th Cir. 2000). Following a 13-day jury trial on behalf of a private equity fund client, obtained a multimillion dollar jury verdict against the seller of a business for misrepresentations and omissions in connection with the sale of the business to our client. Obtained approval from the U.S. Department of Justice for the merger of a large international mining company after a second request for information. This resulted in one of the largest mergers in Canadian history in 2006. David provides antitrust counsel to joint ventures, trade associations, research consortiums and companies involved in mergers and acquisitions, as well as those facing antitrust claims. He has also successfully defended clients in connection with criminal antitrust investigations by the U.S. Department of Justice. He is a frequent speaker and author on various legal topics, including antitrust, class actions and mergers. He has spoken several times at the PLI's Annual Antitrust Law Institute. He also co-authored a paper entitled Joint Ventures and Other Competitor Collaborations, published by the PLI Law Institute. Freeborn & Peters LLP is pleased to announce that it heads into 2019 continuing to expand its brand as a Litigation Powerhouse® with major trial victories and growth in litigation capabilities and geographical reach during the past year that rival many Am Law 100 firms in the nation. Freeborn & Peters LLP is pleased to announce that Chambers USA has ranked the firm’s Litigation: General Commercial and Antitrust practices in Illinois for 2017. Chambers also ranked Freeborn Partners Jeffery M. Cross and David C. Gustman for Antitrust in Illinois.